In a previous article of mine, JWT Authentication for Microservices in .NET, I have looked into creating an authentication microservice. This would be used to validate the identity of the user’s identity before performing any action in other components of the system. The project presented in this article is built from scratch. However, if you are interested in optimizing the process of sending HTTP requests to multiple APIs, make sure to check out this article. Another component that is crucial to this process is the API gateway — basically, a middleware system that routes the incoming requests to the responsible microservice, but also performs the identity validation before doing so. 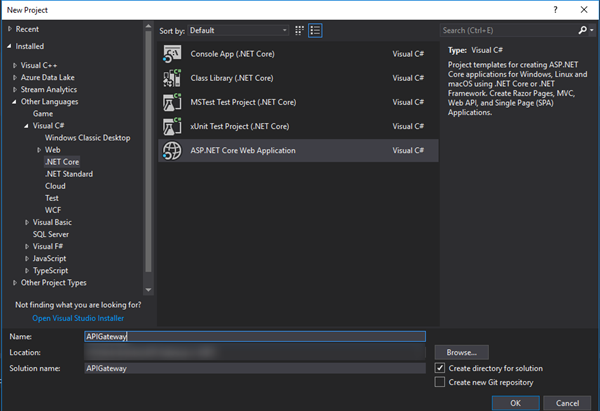 The first step is to create a new ASP.NET Core Web Application project is Visual Studio. 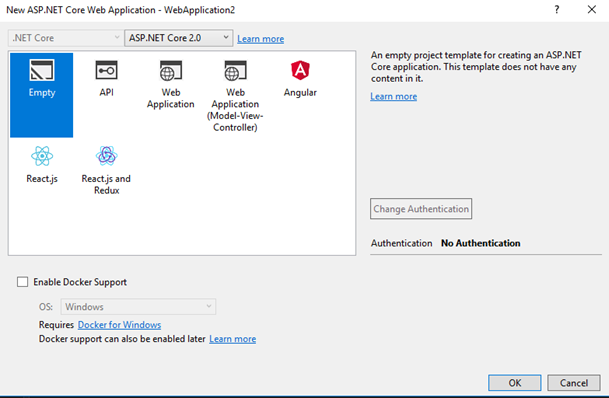 Since this project will only act as middleware, choose Empty as the template. First of all, we want a Router class. This class will hold all the existing routes, perform the validation and send the requests to wherever it is necessary. To keep the code cleaner, we will get the routes from a JSON file. So, after a request comes to the API gateway, it will be sent to the router, which does whatever it is necessary, and returns the response. Finally, we set that as the response that the client would get. Now we also know that each Route should have an endpoint and a destination, and that each Destination should have a uri and a requiresAuthentication field. Before moving to the Router class, we need to create a way to deserialize the JSON file where we keep all the routes. I will create a helper class for this, that will contain two methods: one for reading a JSON file into an object, and one for deserializing a JSON object. I am using the dynamic type to read the JSON file and the deserialize it into the object’s properties. Everything is now ready for the main functionality of the API gateway: the routing and the identity validation, which will happen in the RouteRequest method. We need to extract the base endpoint from the request object (so, if the endpoint is /movies/add, we want to get the /movies/ part, since that defines our route). After that, we need to check if we have that route registered. If the answer is yes, then we check the user identity and route the request; otherwise, we return an error message. I have also created a ConstructErrorMessage method for convenience. For the authentication part, I chose to extract the token from the request header and send it as a query parameter. You can choose to keep it as a header, which means that the authentication microservice will have to extract it. You can now test the API gateway by filling in the routes.json file with services that you already created, and check if the responses are correct. If you do not have any services, an easy testing method is to route one of the endpoints to a website such as google.com. Creating a basic API gateway does not require much effort, but it also doesn’t offer much in terms of functionality. If you need features such as load balancing, you might want to look into already existing frameworks or platforms that offer routing services. You can find all the code, ready to use, on my Github.